The City of Baltimore is located near many of the nation's top freshwater fishing destinations, including reservoirs, lakes, rivers, creeks, and streams. Nearby are several major rivers including Gunpowder Falls, Middle, Back, Magothy, Patapsco, Severn, South, Patuxent, and Potomac rivers. Each of these waterways sustain strong populations of freshwater species. 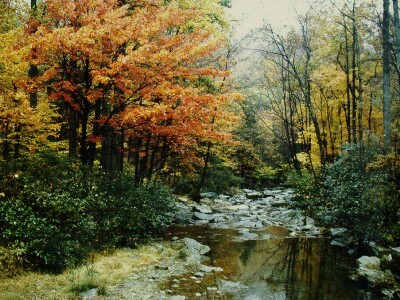 To the North of Baltimore, Gunpowder Falls (also called Big Gunpowder Falls), and Little Gunpowder Falls sustain trout and other freshwater species. Patapsco Valley State Park provides anglers with access to nearly 35 miles of the Patapsco River, from Woodbine in the west to Elkridge in the east. Several rivers receive seasonal spawning runs of anadromous fish species. Migratory species include American shad, hickory shad, river herring, yellow perch, white perch, and striped bass. Along Gunpowder Falls, Loch Raven Reservoir and Prettyboy Reservoir sustain dozens of freshwater fish species. Northwest of Baltimore City, Liberty Reservoir is a component of the Patapsco Watershed. At 3100 acres, Liberty Reservoir is the largest of Baltimore County's major reservoirs. Other impoundments near Baltimore include Piny Run, Triadelphia, and Rocky Gorge.